The CIC, which has been devoid of a Chief, may soon have a new Chief with the Centre reportedly notifying the Delhi High Court that the candidates for the post of CIC have been shortlisted. They have been granted vigilance clearance as well. The Court had directed the Government to expedite the appointment process and keep it updated on the progress. This was because the vacancies in the Central Information Commission had created a massive backlog of cases. The ASG informed the Court that the matter shall now be put up before the selection committee headed by the Prime Minister as per the RTI Act, and the process would take another one or two months. Last week, Congress President Sonia Gandhi attacked Prime Minister Narendra Modi over the issue of vacant posts of CIC and Information Commissioners saying this has resulted in the backlog of 39,000 cases. 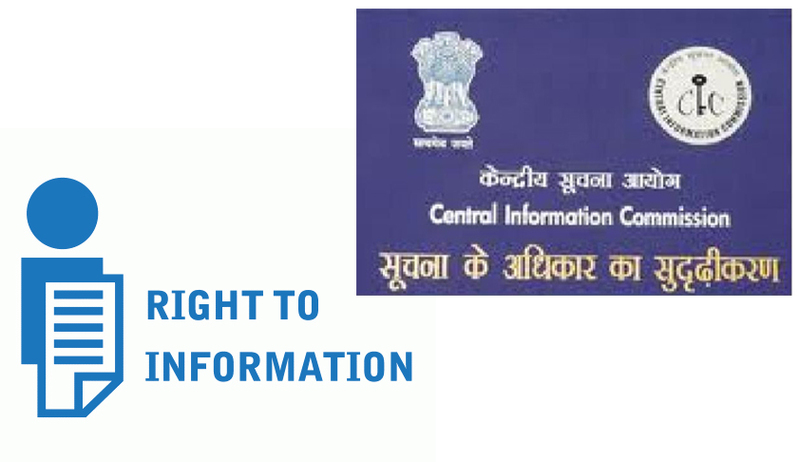 Earlier in April, High Court had rapped the Centre for vacancy in the posts of the Chief Information Commissioner and three information commissioners. The Court is hearing a PIL filed by RTI activists R.K. Jain, Lokesh K. Batra and Subhash Chandra Agrawal, through lawyers Prashant Bhushan and Pranav Sachdeva. The Petitioners contended that no action has been taken on the issue despite two “distress” letters written by the Central Information Commissioner (CIC) to the Prime Minister’s Office (PMO). Representing the Government, Additional Solicitor General Sanjay Jain assured the Court that these posts would soon be filled up. The ASG urged the Court to give him four weeks time to obtain details from the Government. Read the LiveLaw story here.